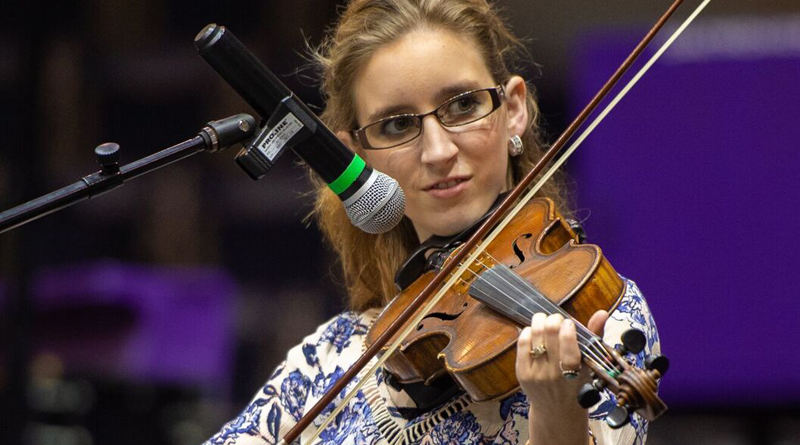 NATCHITOCHES – Clancey Stewart of Florien was the Grand Champion of the 2018 Louisiana State Fiddle Championship held at Northwestern State University as part of the 39th Annual Natchitoches-NSU Folk Festival. Tied for second place were Cameron Fontenot of Eunice and Terry Huval of Lafayette. Ron Yule of DeRidder took third place, followed by Marguerite Gravois of Baton Rouge in fourth. 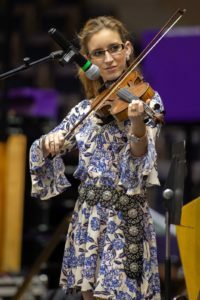 The Championship was held in Magale Recital Hall on the Northwestern State campus. Support for the Louisiana State Fiddle Championship and the Natchitoches-NSU Folk Festival was provided by grants from the Cane River National Heritage Area, Inc., the Louisiana Division of the Arts Decentralized Arts Fund Program, the Louisiana Office of Tourism, the Natchitoches Historic District Development Commission, the National Endowment for the Arts, the New Orleans Jazz and Heritage Festival and Foundation, and the Shreveport Regional Arts Council. Support also came from generous sponsorships from Acme Refrigeration of Baton Rouge, Dr. James Arceneaux, Bank of Montgomery, Louie Bernard, City Bank, the City of Natchitoches, Cleco, John Conine; Corkern, Crews, Johnson & Guillet; CP-Tel, Delta Car Wash, Dan and Desirée Dyess, Georgia’s Gift Shop, La Capitol FCU, the Harrington Law Firm, Billy Joe Harrington, Jeanne’s Country Garden,Maglieaux’s Riverfront Restaurant, the Natchitoches Area Convention & Visitors Bureau, Natchitoches Wood Preserving, Inc., NSU Men’s Basketball,Page Builders, LLC, Sabine State Bank, R.V. Byles Enterprises, UniFirst, Dr. Michael Vienne, David and Shirley Walker, Waste Connections, and Young Estate LLC.